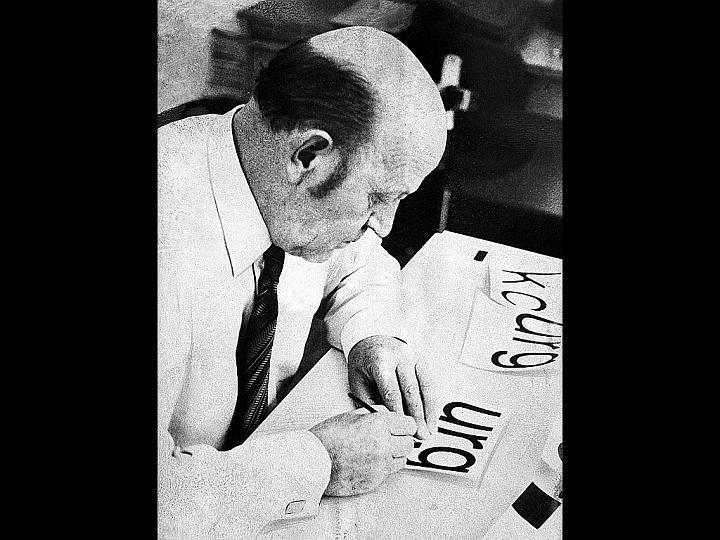 Max Miedinger (December 24, 1910 in Zurich, Switzerland – March 8, 1980, Zürich, Switzerland) was a Swiss typeface designer. He was famous for creating Neue Haas Grotesk typeface in 1957 which was renamed Helvetica in 1960. Marketed as a symbol of cutting-edge Swiss technology, Helvetica went global at once. 1294 – Pope Boniface VIII is elected Pope, replacing St. Celestine V, who had resigned. 1871 – Aida opens in Cairo, Egypt. 1913 – The Italian Hall disaster ("1913 Massacre") in Calumet, Michigan, results in the death of 73 Christmas party goers held by striking mine workers, including 59 children. 1943 – World War II: U.S. General Dwight D. Eisenhower becomes the Supreme Allied Commander. 1953 – Tangiwai disaster: On New Zealand's North Island, at Tangiwai, a railway bridge is damaged by a lahar and collapses beneath a passenger train, killing 151 people. 1979 – The first European Ariane rocket is launched. 1994 – Air France Flight 8969 is hijacked on the ground, over the course of 3 days 3 passengers are killed, as are all 4 terrorists. 1997 – The Sid El-Antri massacre (or Sidi Lamri) in Algeria kills 50-100 people. 2000 – The Texas Seven hold up a sports store in Irving, Texas. Police officer Aubrey Hawkins is murdered during the robbery.